Special Assistant to the governor on Public Communications and New Media, Lere Olayinka, who reacted to the APC's claim in a statement issued in Ado Ekiti on Sunday, said over 1,000 fake workers have already been discovered on the payroll that ought not to be receiving salary. He said; "over 250 workers that are already dead have been receiving salary through the e-payment system introduced and contracted to a Lagos based company by the immediate past APC government." The governor's aide, who urged the APC to first remove the timber in its eyes before aspiring to remove the toothpicks in other people's eyes, said the party should prevail on its governors in neighbouring States to pay workers that are owed as much as right months salary. He said; "We commenced workers verification exercise last month and we have kept faith with our covenant with the workers by paying the April salary of those already cleared. "As at today, we have discovered more than 1,000 people that were receiving salary fraudulently, out of which over 250 are dead. "The over 1,000 fake workers have now been deleted from the payroll and the exercise is still ongoing." On the claim by the APC that the State government received N22 billion from the federal government as refund for construction of federal roads in the State, Olayinka said; "Only a demented mind would believe that a refund of N22 billion was made by the federal government on N11 billion road project. "For instance, Ado-Iworoko-Ifaki Road on which they claimed federal government refunded N22 billion was awarded by the Engr Segun Oni government for N7.4 billion. In 2013, the APC government of Dr Kayode Fayemi increased it to N11 billion, claiming the increment was to ensure quick completion of the project. "So, How could federal government have refunded N22 billion on a N11 billion road project? 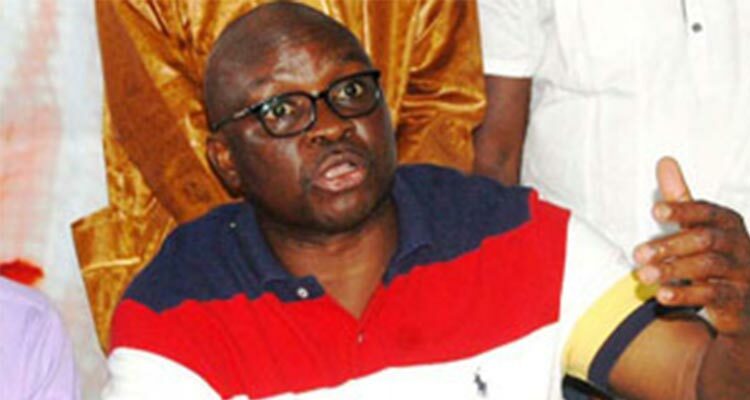 "These people just love to tell lies, hoping that they can again lie their way into the hearts of Ekiti people, but the people already know them and their stock in trade."